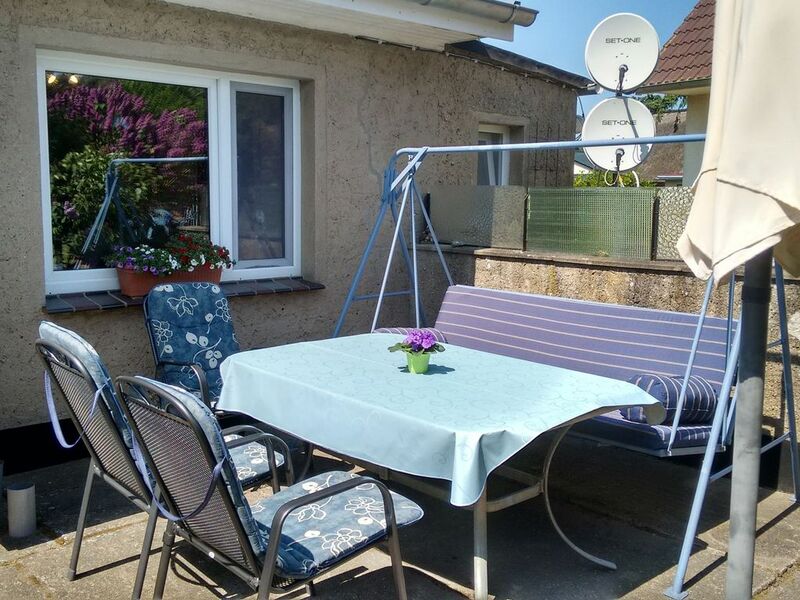 This beautiful two-room bungalow half with garden terrace is located on a large residential plot of a private landlord in Fuhlendorf, a rural place away from the floodlit traffic and the hustle and bustle of the seaside resorts. The beautiful garden semi-detached bungalow can accommodate 4 people and has 1 comfortable living room, 1 beautiful bedroom, 1 mini-kitchenette and 1 bathroom with shower and toilet. A beautiful garden terrace with comfortable seating and barbecue is waiting for the guests. For younger guests there is a small playground with a swing, slide, sandpit and children's playhouse. Note: The garden bungalow has no heating! In Fuhlendorf there are good shops (100 m), a cozy restaurant with home-style cuisine (100 m), Boddenrundfahrten from small Boddenhafen with restaurant and summer cinema (2 km), holiday park with sauna and cosmetics, boat rentals at the Bodden (1km). From the harbor in the summer, boats sail to the peninsula Fischland-Darß. Hiking and biking trails lead through meadows and forests and through traditional fishing villages. The Saaler Bodden is a popular surf and kite area and fishing area due to the shallow water.